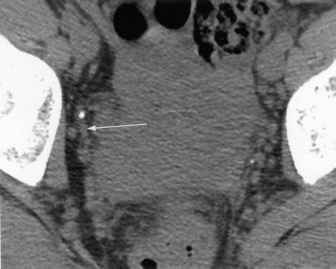 Ureteral stents can be inserted through a PCN tract or retrograde through the urethra or a urinary conduit. In difficult cases, a combined approach may be required. Successfully deployed ureteral stents allow for urine drainage and diversion without the inconvenience of a drainage bag. Percutaneous antegrade stent insertion is performed when retrograde insertion fails or is not possible. Antegrade ureteral stenting requires percutaneous access to the collecting system, preferably through an interpolar or upper pole calyx, because this approach allows the pushing forces to be directed toward the ureteropelvic junction (UPJ). A guidewire is then maneuvered across the ureteral obstruction using a combination of preshaped catheters (cobra, multipurpose) and guidewires. Hydrophilic-coated guidewires (glidewires) are particularly helpful in crossing tight strictures. The use of transrenal Teflon sheaths (peel-away or non-peel-away) also facilitates the placement of stents through an area of tight ureteral narrowing, by preventing buckling in the subcutaneous tissues and in the renal pelvis (85,86) as the stent encounters high resistance in the area of a tight stricture. In difficult cases, a guidewire can be passed antegrade through the urethra so that it can be grasped at both ends—the nephrostomy site and the urethra—and the stent can be advanced by pushing and pulling (87,88). If the urine draining from the nephrostomy is bloody or infected, stent placement should be deferred until the urine clears. Two kinds of ureteral stents can be inserted in an antegrade fashion: an internal stent (double-J or double-pigtail) and an external-internal stent (nephroureteral) (Fig. 5A,B). External-internal stents (nephroureteral stents, Fig. 5A) are introduced percutaneously and advanced into the urinary bladder or bowel. A segment of the stent remains protruding from the flank and is capped externally to allow antegrade (internal) urine drainage. Side holes at the level of the renal pelvis allow urine to drain distally through the stent. External-internal stents can be easily exchanged per-cutaneously and also be irrigated to maintain patency. They are used in patients in whom the stent placement is only for a short period (as after stone removal or uret-eral dilation) and in patients in whom retrograde stent exchange would be difficult because of bladder disease or distortion or because of neurologic or orthopedic problems that make cystoscopic exchange of a stent challenging. Figure 5 Types of ureteral stents. (A) Nephroureteral stent with proximal self-retaining pigtail in renal pelvis and distal pigtail end in urinary bladder. 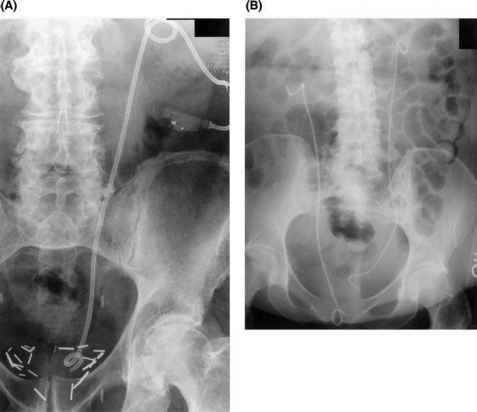 (B) Bilateral double-pigtail uret-eral stents in a patient with bilateral obstruction due to an enlarged myomatous uterus. The right ureteral stent is a little too long and can potentially produce bladder symptoms, such as suprapubic pain or dysuria. was the convention when the procedure first came into use but since has been found to be unnecessary in most cases (85,86,89,90). A nephrostomy tube is left in place for 24 to 48 hours after stent placement so that antegrade pyelography can be performed to confirm stent patency before the nephrostomy catheter is removed. It is important to use fluoroscopic guidance when removing the nephrostomy catheter in order to prevent inadvertent extraction of a double-pigtail ureteral stent that may be trapped by a portion of the nephrostomy catheter (91). If the urine is bloody, nephrostomy catheter drainage should be maintained until the urine clears. Recently, Patel and Abubacker (90) reported on their experience in 41 patients in whom ureteral stents were placed without a postprocedural nephrostomy tube. Exclusion criteria were suspected pyonephrosis, coagulopathy, and emergency cases. After stent placement, the authors performed a nephrostogram, and if there was contrast flow into the bladder, a blood clot filling less than half the renal pelvis, and no bleeding around a wire left in the tract after stent placement, a nephrostomy tube was not placed. 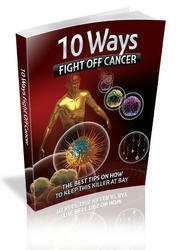 The procedure was technically successful in 36 of 41 patients (88%) and clinically successful in 34 of 41 (83%) patients. Two patients became septic and required repeat nephrostomy tube insertion. Based on their experience, the authors recommend that patients who have had genitourinary tract surgery or recent instrumentation, such as a failed attempt at retrograde stent insertion, should have nephrostomy tubes left in postprocedure for drainage, because such patients appear to have a predisposition to infection (90). The retrograde route for access to the kidneys or ureters is a familiar one to most urologists. When the endoscopic retrograde approach is unsuccessful in placing a stent or a guidewire, a PCN is usually requested by the urologists, followed by stent placement through the PCN tract. However, an unsuccessful or incomplete retrograde procedure can often be successfully completed with fluoroscopy and the use of guidewires and catheters (92,93) in an interventional radiology suite. Fostering a close working relationship with the urologists can facilitate referrals for such cases, and thus potentially avoid a nephrostomy. Primary retrograde catheterization of the ureter without cystoscopic assistance has been reported (94-96). The procedure was successful in 70% of cases in a small series (94), with patients requiring only mild intravenous sedation and with fluoro-scopy times averaging less than three minutes. The trigone is identified by cystogra-phy, and the ureteral orifice is cannulated using a combination of angled-tip glidewires and angled hockey-stick catheters. Replacement of ureteral stents using fluoroscopic control (as opposed to cystoscopy) has been reported, with successful exchange possible in 97% of cases (97,98). The bladder end of the stent is grasped with a snare or lasso, withdrawn through the urethra, and then replaced over a guidewire using the standard technique. The technique is easier in female patients, although it has also been used in a few male patients.